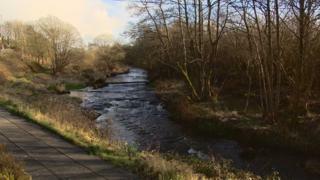 A 16-year-old boy has died after being pulled from a stream in East Dunbartonshire. Police were called to Luggie Water near Old Duntiblae Road, Kirkintilloch, at about 19:00 on Saturday. The teenager was pulled from the water and taken to the Queen Elizabeth University Hospital in Glasgow where he was pronounced dead. Officers are currently treating the death as unexplained. A post-mortem examination will be carried out. A spokeswoman for the force said: "The boy's family have been made aware and a report will be submitted to the procurator fiscal."